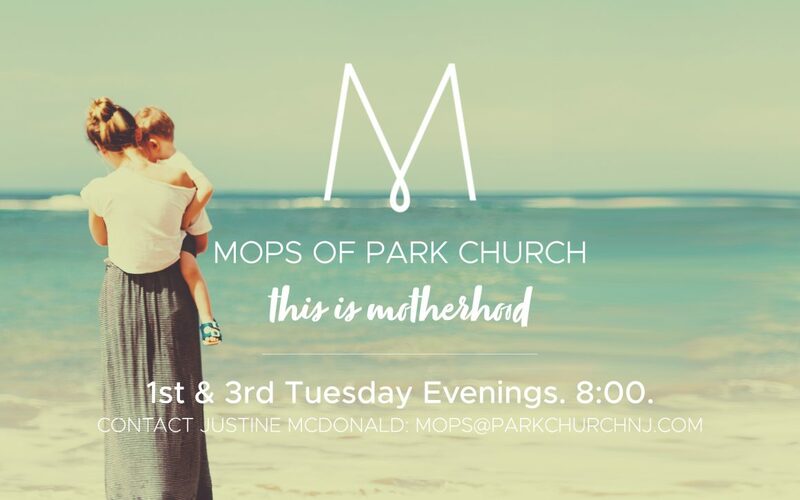 MOPS is at Park Church! What is MOPS? It stands for “Mothers of Preschoolers” and is a group that regularly meets for moms of young children to grow together, support one another, and explore faith and motherhood. It runs September through May. The meetings are on the 1st and 3rd Tuesdays evenings of every month at 8:00PM. Follow Park Church MOPS on Facebook! Erica Guttenplan is the Park Church MOPS coordinator. Contact her with any questions. No childcare provided.